It’s beginning to feel a lot like Christmas, and it’s not common knowledge that the definitive Christmas movie doesn’t have anything seasonal in the title. It’s one of the “manliest” movies in American cinema, and it has some of the most iconic action moments in history. You only get one first time, and for some people, it comes later than it does for others. This particular column is about documenting the first viewing of a “classic” movie or TV show determined at the discretion of Aaron Hubbard and Michael Ornelas in alternation. 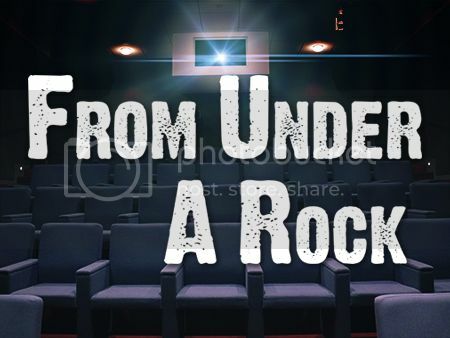 Last week Aaron took Michael out from under the proverbial skin with Under the Skin. This week Michael takes Aaron out from under the proverbial rock for Die Hard. Michael Ornelas: So the main reason I picked this is because Aaron has been bugging me to pick it for a long time, seeing as he hadn’t seen it before (and at this point, we hold off on seeing bigger omissions from our movie-viewing history just so we can discuss them here). I timed it for December because Die Hard is a Christmas movie, and don’t let anyone tell you otherwise. I also wasn’t a huge fan of this movie the first time I saw it (which was only two years ago), but I was also in a room with a bunch of people who were talking through it, and that altered my experience. This time, I got to see it without other people’s commentary and…well, it was awesome. Aaron Hubbard: I’m just glad that for the last year I can use this column as an excuse for why I haven’t seen this. Truthfully, much like Silence of the Lambs and Jaws, I was hesitant to see this movie because of its reputation. I felt like nothing could live up to the hype; I didn’t need to worry. Die Hard is really that good. Michael: You know why John McClane is so badass? You probably do, because I alluded to it in the title of this section. Hans Gruber, that’s why. He was a menace, and he was genius. He single-handedly created almost every speed bump McClane encountered along the way, and they were by design, not by accident. This movie wasn’t your typical action movie, where we see a bad guy with all the obstacles already in place for our hero. This was a chess match, through and through. Everything that became available to Hans, he used expertly against John. It was a treat to watch this psychological battle in addition to the physical action flying around on screen. Aaron: For something that has a reputation as a great action movie, the action is quite restrained, to the film’s benefit. This movie works so well because of the characters and how they interact with each other. This is like watching Sting or Dusty Rhodes going through the Four Horsemen to finally reach Ric Flair. But I also appreciated moments that humanized him, like getting the couch for the pregnant woman. And man, do we owe a debt to this movie for finding Alan Rickman to play this role. Hard to believe that voice and that talent hadn’t been seen on American screens before. If I wasn’t so busy despising Gruber I probably would have gotten emotional; the loss of Rickman really stings for me. Michael: He was so talented and great at playing complex characters. When you look at someone like Gruber, and then Snape, and even Metatron from Dogma, it’s hard not to draw parallels to how Rickman got inside the minds of his characters to truly be an attention magnet when he’s on screen. Bruce Willis is fantastic in this movie, but from his very first shot, Rickman is entrancing. They show you that Gruber is important the first time you see him, and he’s literally just walking down a hallway with a purpose. Sure he was a noteworthy criminal in this movie, but his biggest crime was stealing all those scenes. And now I put on my sunglasses. Aaron: 1980’s was the golden age of action movies, with classics like Raiders of the Lost Ark, First Blood, RoboCop Aliens, Predator, The Road Warrior, and Lethal Weapon all coming out along this time. Not to mention a harder, more stunt-oriented James Bond with James Dalton in License to Kill. So why does Die Hard stick out? Well, the killer script and Alan Rickman don’t hurt, but the secret here really is Bruce Willis. Willis was an out-of-the-box pick for an action film, as he was just an unassuming guy who wasn’t quite movie-star handsome and looked older than he was. Not to mention he was best known as a comedy guy in Moonlighting. For us 1990s folks who grew up with Willis as an action legend; this is like Will Smith jumping from The Fresh Prince of Bel-Air to Independence Day. Hard to imagine this almost went to Arnold Schwarzenegger. I can’t see Arnold playing an everyman like John McClane. Michael: In a way, it also paves the way for someone like Jesse Eisenberg to be a hero in Zombieland, or Michael Cera in Scott Pilgrim vs. The World. To bring back wrestling, since you alluded to it earlier, it’s the same thing. It’s all about how you write certain character types. Anyone can get “over”, whether it be a guy like Bruce Willis or a wrestler like Daniel Bryan. It’s interesting when you look at the effect that transition has had on the film industry because now it feels like nostalgia when something like The Expendables comes out — it’s anything but the norm. Aaron: I feel like an appropriate comparison is Hulk Hogan and Ultimate Warrior to Bret Hart and Steve Austin. McClane is an everyman, but he’s also what amounts to a cowboy archetype put in a modern situation. The film feeds into that narrative. And while your examples of Eisenberg and Cera ring true, I also think it’s allowed actors like Tom Cruise, Matt Damon, Keanu Reeves, Denzel Washington and Liam Neeson to be viable action stars. None of those guys fit the Rambo or Terminator archetype either. The genre owes a ton of debt to Die Hard. Michael: I say this sardonically, because I much prefer it when movies treat their violence with the gravity one would expect in horrifyingly gruesome situations. That said, Hollywood has successfully crafted a way to glorify the stuff and make it fun, and, for better or for worse, that’s what Die Hard offers us. This movie isn’t just violent, it’s graphically violent, and it still manages to be fun. Aaron: What I find most fascinating about this film is presentation. The premise is “one off-duty cop trapped in a building with a dozen heavily armed terrorists with hostages.” That’s scary. Imagine how different this movie would feel if we stuck with McClane more and never got a look at his opposition. Gruber, McClane, the police and even the hostages are always engaged in a power struggle, but ultimate power is with the viewer. We see everything that could happen before it happens. This drains tension out, but has the benefit of making this a super fun movie where we are in on everything. That’s good filmmaking; that’s the importance of presentation, and Die Hard doesn’t get enough credit for the mechanics that work so well to make it so fun. Michael: I’m a big fan of tension in movies, but that’s a preference of tone. And tone lies with the director, and how they want their movie to come across. In that regard, I will say the lowered tension of Die Hard does indeed make it a fun movie, because they inversely raise the stakes. The odds are insurmountably against McClane, and I feel like I’d die of a heart attack if I was left to experience that with no humor. Aaron: It’s so great when a movie lives up to seemingly impossible expectations. The characters, story, screenplay and action all seem on point here. I also feel it’s worth noting that VelJohnson is great here, and that the small roles are almost all perfect. How many other movies have henchmen this memorable? The only weak point is McClane’s wife, who isn’t bad, but I feel could have been stronger and made the movie just that much better. Michael: I was crazy to not have dug this the first time I watched this. Everything is super tight, and flows well. The action is fun. The hero and villain are a fantastic pairing, as are all of McClane’s relationships. His wife was interesting and bounced off him in entertaining ways. Hell, even Powell, a cop who McClane has never met, develops a friendship with John via the radio. There’s nothing about this movie I can dislike, so…for the second week in a row, I’m handing out the top marks. Aaron: So my question; should I risk diving into the sequels? Michael: I actually don’t know. But I got the boxed set for Black Friday, so there’s a good chance I’m going to. Die Hard, just like the old man in Clerks. Aaron: Well, we saw a major landmark in action this week. Let’s go with one of the hidden gems of the genre in the modern age. 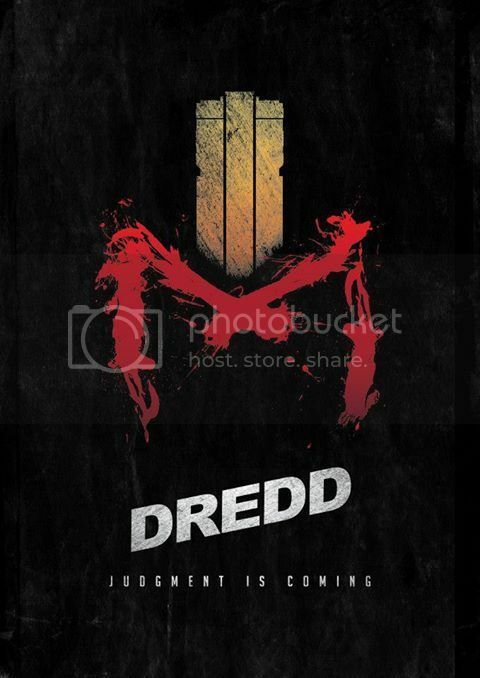 Michael: I know nothing about this, other than the fact that it’s a remake of Judge Dredd, which I also know nothing about. But I found it for like $6.99 in 3D, so I picked it up and I’m ready to check it out. Aaron: I think you’ll be pleasantly surprised; it certainly caught me off guard. “Dredd” or “Judge Dredd”; which is the better movie? Check out our past reviews! Michael’s Spin on Things is a comedic YouTube product review parody channel in which Michael Ornelas will review ANYTHING and EVERYTHING in accordance to the criteria provided by the spin of a wheel. In this week’s episode, Michael reviews hands! Just…human hands! I truly think it’s one of the funniest and most-professional looking things I’ve ever produced. This week, on reader suggestion, 411 Comics Showcase shines the Spider-Signal on Marvel’s most popular superhero. Aaron is now on Letterboxd! Check me out here to see my star ratings for over 600 films. Recent reviews include Frozen, Moana and, on the other end of the spectrum, A Fistful of Dollars. Few films have the reputation of Die Hard, a film that permeates pop culture and defines the action genre. But, few movies hit everything out of the park like Die Hard, one of the most purely enjoyable thrill rides we've covered on this column. John McClane and Hans Gruber are great characters made better by great acting, the movie is fun and funny, and it hits every note it wants to nearly perfectly.